The world’s most aristocratic equine population owes its fame to the Andalusian horse, along with the Arab and, much later, the Thoroughbred. Its history goes back long before the birth of Christ – to 200 BC, at the time of the Roman Conquests in and around Spain. Roman writers praised the native Spanish horses’ qualities, which were recognised by Spain’s Moorish conquerors, who naturally cross-bred them with their own Arab and Berber breeds. This is the horse that became “the very cornerstone of classical riding.” The features that made this horse of pure Spanish breed so highly sought after, are its balletic elegance, high head carriage, short arched neck, silky flowing mane, compact body and wonderful proportions. The manes of mares are usually clipped in Spain and only the stallions are allowed to display the full splendour of theirs. About 50% of Andalusians are usually grey or white, the rest being bay or black. Chestnuts or piebalds are excluded from the stud book. During your visit to the school, you will get to experience the exceptional “How the Andalusian Horses Dance”. 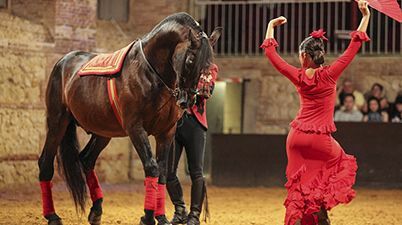 The show itself is an equestrian ballet, accompanied by quintessential Spanish music and costumes similar to those worn in the 18th century, all put together and choreographed using movements based upon Classical Dressage, DomaVaquera (country-style riding) and traditional horsemanship. 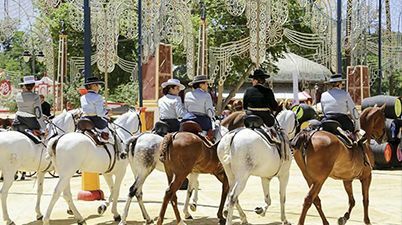 This is an unique opportunity to take part in one of Spain’s most beautiful and distinctive traditions. 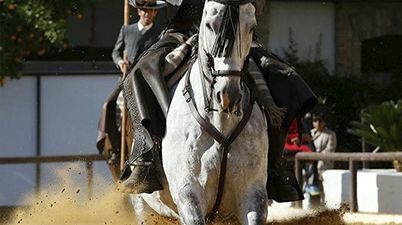 Hold a marvellous show called “the Passion and Duende of the Andalusian horse”. The Royal Stables were founded in the year 1570 by a royal decree of Felipe II, who was a great lover of horses. 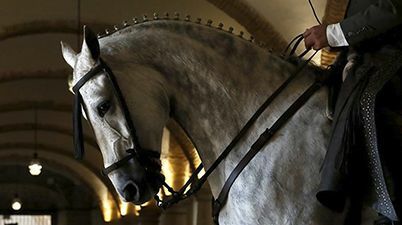 He launched this project to create the Andalusian Horse (Pure Spanish Thoroughbred), one of the greatest breeds of horse ever to exist, for his own use and for use all over the world. What was at first simply a royal wish ended up being one of the greatest and best-loved of Felipe II’s projects. The Spanish thoroughbred was a very popular riding horse and soon became a striking symbol of the Spanish empire. Nowadays, the horses return to their origins, and it is a real delight for all those travellers visiting the historical city of Córdoba to discover the monumental Royal Stables building and heritage. The beauty of the horses, the stables, carriages and the tradition are well preserved and definitely worth the visit.